Reconnaissance Fly was born in 2009 from the dormant and pupating remains of Polly Moller & Company, then the six-year-old vehicle for flutist and vocalist Polly Moller&apos;s spoken word compositions. Growing and transmogrifying, the band embraced progressive rock, jazz, funk, contemporary classical, and free improvisation influences, and became a team of goofball composers and superhero sidemen. 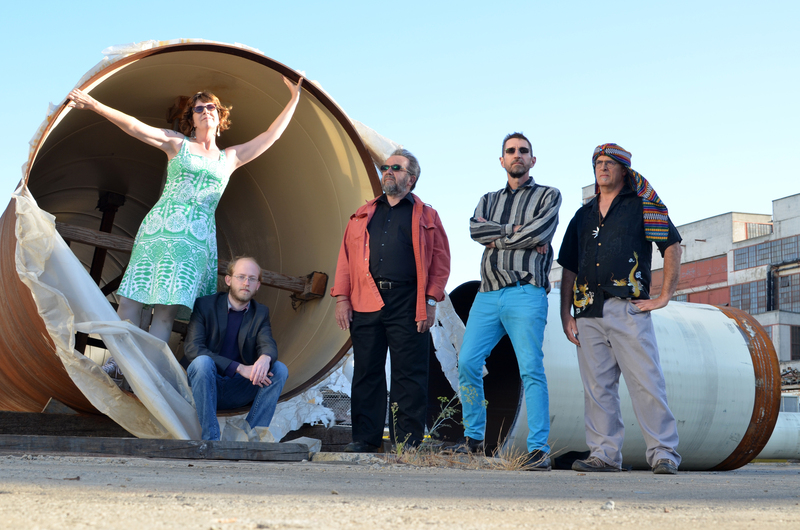 The five members of Reconnaissance Fly are Brett Carson on keyboards; Rich Lesnik playing clarinet, bass clarinet, and soprano and tenor saxophones; Polly Moller with voice, flutes and guitar; Larry the O on the drums, and Tim Walters on bass guitar and electronics. In 2014, the band’s debut album Flower Futures was unleashed as a “spong cycle” with lyrics drawn entirely from internet spam. The new EP, Off By One, captures the band in an introspective mode with two completely instrumental tracks, and lyrics from Linear A inscriptions, poetry by Siegfried Sassoon, and a spam-ified concert review. Polly straps on a guitar, bringing her own take to the role previously held by Bill Wolter (Inner Ear Brigade, Surplus 1980) and Noah Phillips (Perfect Loss). The four tracks written by Tim have strong Canterbury and spy-rock tinges, with lots of surprising twists and turns. “Itzirktna” by former keyboardist Amanda Chaudhary flies the funk flag high, planted in the playful nerdiness which has become the band’s trademark.